Since we greatly enjoy drone/ambient/dream Muzak we established a new CDr series called Drone Works. Each release contains one lengthy track and will be treated with the same hand-crafted, generic packaging as displayed here. The series of course will be limited/unlimited, as we produce a first run of twentythree copies, and if there is demand for more, we will produce yet more and more and so on and so on. Of course every follow-up edition will be marked as “The 2nd, 3rd, 4th Edition” etc. • Drone Works #1 (DR 05) by Z1// – 1st edition available 2nd Edition ready for pre-order! 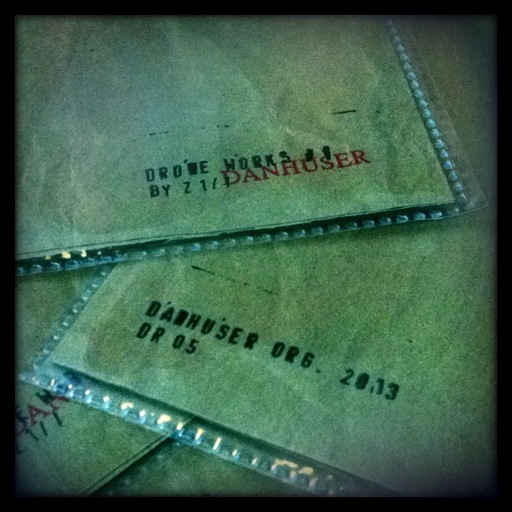 • Drone Works #2 (DR 06) by Tactile – Coming in 20??! • Drone Works #3 (DR 07) by The Surreal Error – Released on August 3rd 2014! • Drone Works #4 (DR 08) by John Murphy – Coming in 20??! • Drone Works #5 (DR 09) by Sid Redlin – Coming in 20??! This series has absolutely nothing to do with Twenty Hertz or Drone Records though we strongly support both and simply cannot recommend them enough.